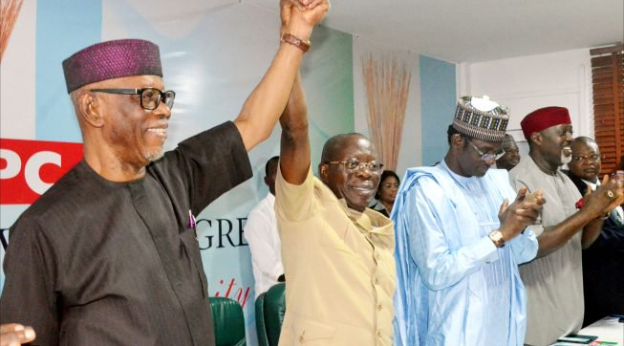 Oshiomhole in his address after becoming the new Chairman of the ruling All Progressives Congress (APC) said, “I am aware there are challenges, this team that has just been elected, we have what it takes to tackle these challenges. When there is no relationship between effort and reward, people are bound to grumble here and there,” he said. Oshiomhole’s statement captures the reality of what is happening in the APC, and how it has struggled to keep its house together. The major problem is the fact that there is no relationship between effort and reward, which has in one way or the other led to internal wranglings and factional threat, especially from the nPDP members who have recently complained that they are being neglected by the party hierarchy. 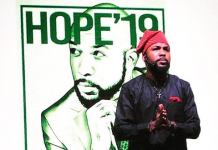 The fact is that in one way or the other, the APC has found it difficult to effectively cope with the challenge that comes with being a ruling party. It has waged war with itself from within, it has not effectively distributed the largesse that comes with being the party in power. It seems to have abandoned some of its members who believe they have in one way or the other surrendered their constituency to the party’s cause. The APC is still yet to grapple how to move from politicking to the ‘polithinking’. The party apparatchik worked hard at the beginning of the term to maintain what can be termed the monopoly of victory. This perhaps was done to trivialise the roles played by other members of the party, a glaring example is how the Lion of Bourdillion, Asiwaju Bola Ahmed Tinubu was practically made to take a backseat by some elements in the party. 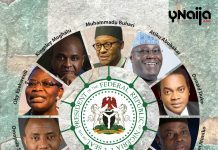 There was the argument that he was not the one that suggested the vice-president, a position alluded to by the President’s own bibliographer, Professor John Paden; and on how the President and his inner circle worked hard to side-line the western force of the party in ministerial appointments, how inroads into the National Assembly by Tinubu was checked, and how both Legislative houses were hijacked by a third force different from the President, though the latter has worked hard to upturn the status quo. 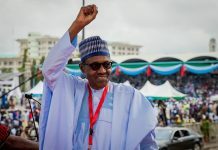 But because the APC is still at the level of politicking, and the next general election beckons, the President has taken it upon himself to appeal to the western force of the party – I need not say more about the June 12 card played by the presidency ahead of 2019. The in-house rumble is far from settled, for the house of Kwankwaso was not there to be counted, and that of the nPDP continue to maintain the discipline of the shadow. The APC is at the eve of another election, the hawks in the opposition parties are all watching. This is not new to them, that is how the PDP lost the crown. This path we are treading is obviously not new, it happened in 2015, close to the general election, former President Goodluck Jonathan knew he needed a new hand to steer the party and he had to let go Bamanga Tukur for his anointed candidate, Adamu Mu’azu. Same goes for President Buhari, seeing that the former APC chairman, John Odigie-Oyegun was unable to resolve the brewing crisis in the party as key members felt left out of the largesse, there was a need for a change of baton. And Buhari’s choice for the chairmanship position of the party is geared towards achieving a return to Aso Rock in 2019. Time will tell if Adams Oshiomhole can leave up to the billing, if he can bring together this APC house that seems to be on the edge, share the largesse across without offending the party apparatchik, and above all secure a second term in office for the party. Time will tell, yet this task is that which is against time itself.